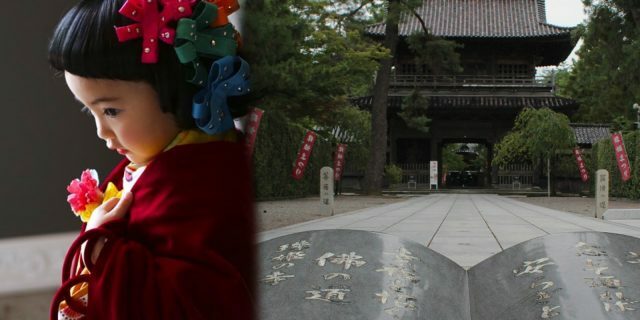 Conspicuously small and hidden for the shrine that shares its city’s name, Kanazawa Shrine is a secret many visitors miss and fewer know how to appreciate. 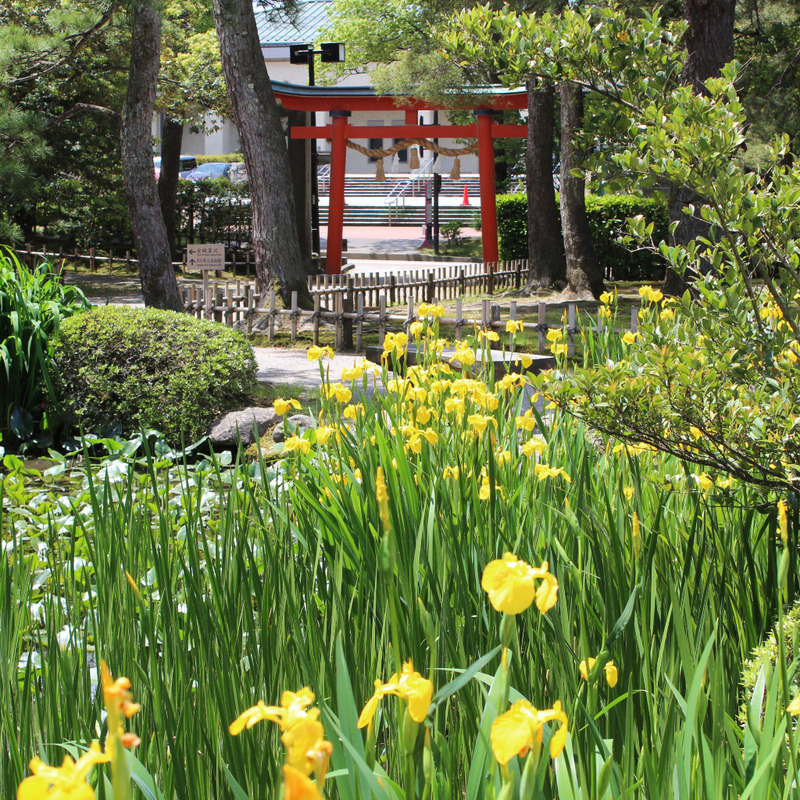 The grounds of this small, but brilliantly-colored shrine are connected to ancient folklore and is Kanazawa’s namesake. 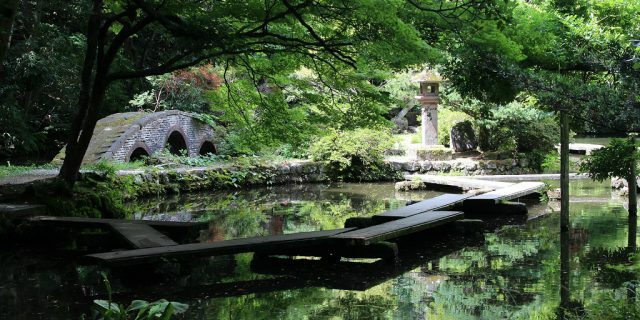 Tucked away off the corner of Kenroku-en Garden, a grove of plum and pine trees and an iris pond obscure the view. A moderately sized red torii gate is visible across the road from the prefectural museums of art and history. Turn south as you enter this gate and the path takes you to a gated well with a dragon painted on the underside of the roof. 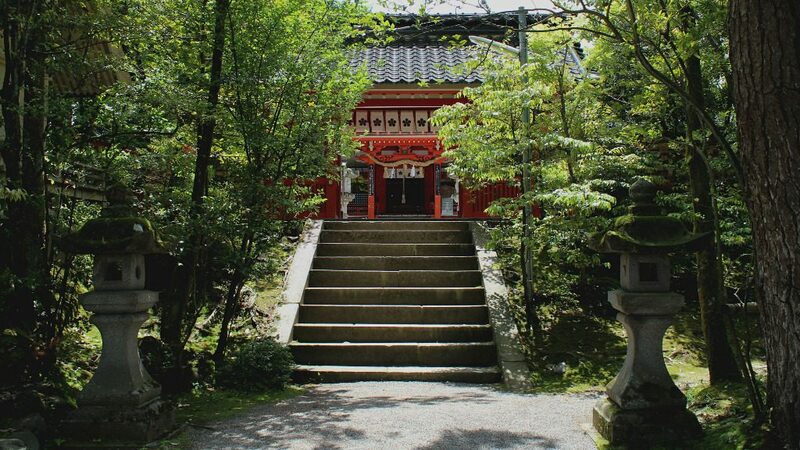 This is Kinjō Reitaku (“Spiritual Well* of the Gold Castle” ), the holy well, whose first and last characters match those that make the name, Kanazawa. But what makes this well so special? 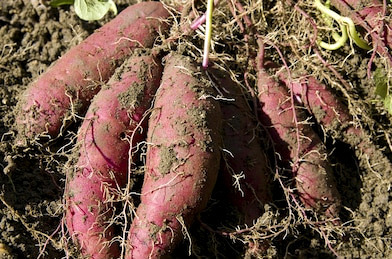 Imohori Togoro (literally, “Togoro, the potato farmer”) lived in a simple house in the Kaga region, digging up wild potatoes from the mountainside, washing them in a wild spring, and selling them to local villagers. 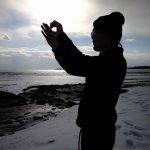 The couple lived out the rest of their days in wealth, and the land around them became known as “The Marsh* of Gold,” which in Japanese is Kanazawa. The original location of Togoro’s spring is unknown. 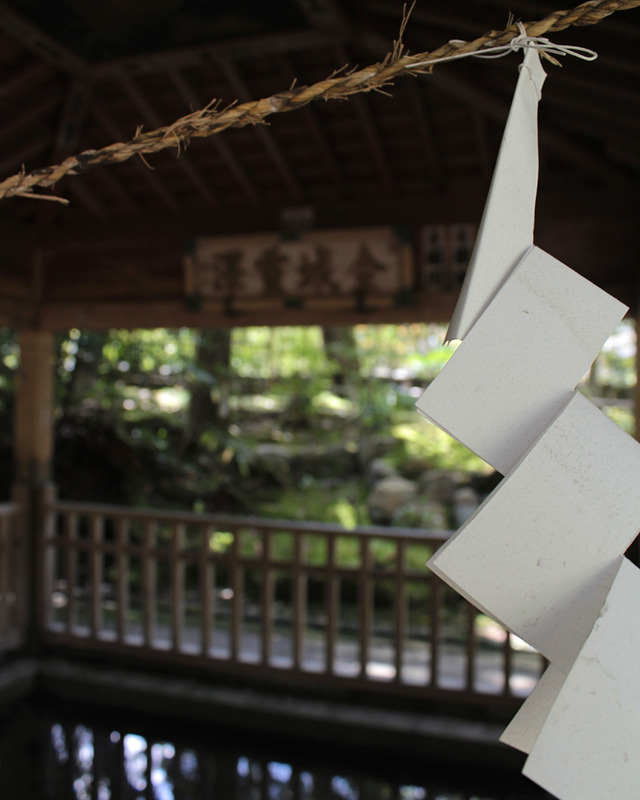 But the well at Kanazawa shrine was established in its honor and remains under the spiritual protection of the shrine. 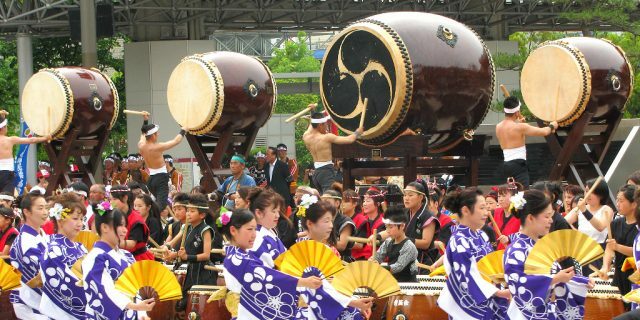 It’s used even today for special occasions, like the commencement ceremony of the massive Hyakumangoku Festival. The well remains ever-full of water, so—sorry Inu Yasha fans—there’s no chance of time traveling through this one. 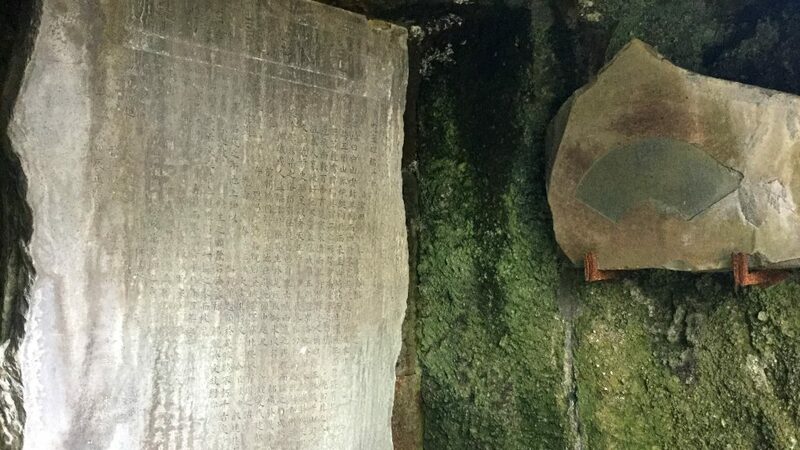 The cave nearby recounts the tale of Togoro Imohori on stone tablets. 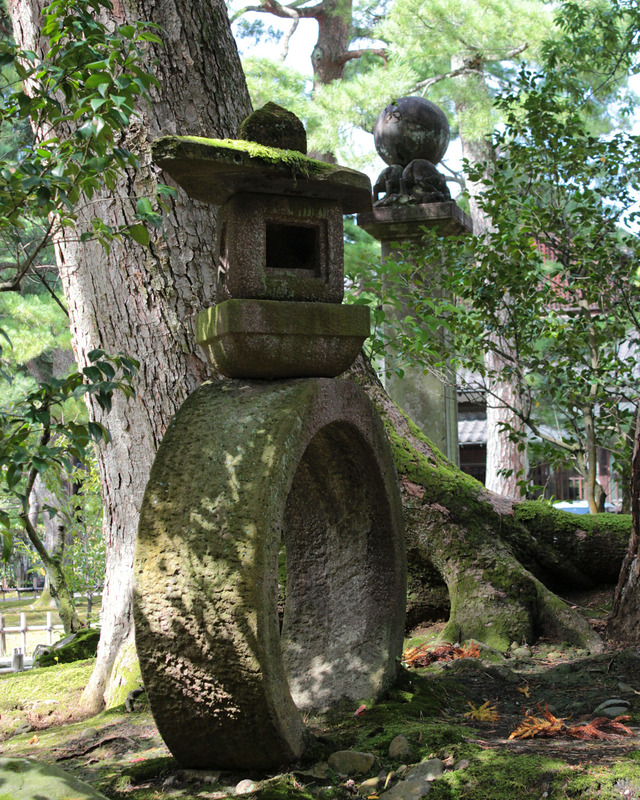 Perhaps less appealing is the large stone near the shrine’s main gate, the Ibotori Ishi. It was once believed to remove warts, though the afflicted had to rub their wart on the stone unseen to achieve the affect. We strongly recommend enjoying this artifact by sight alone. 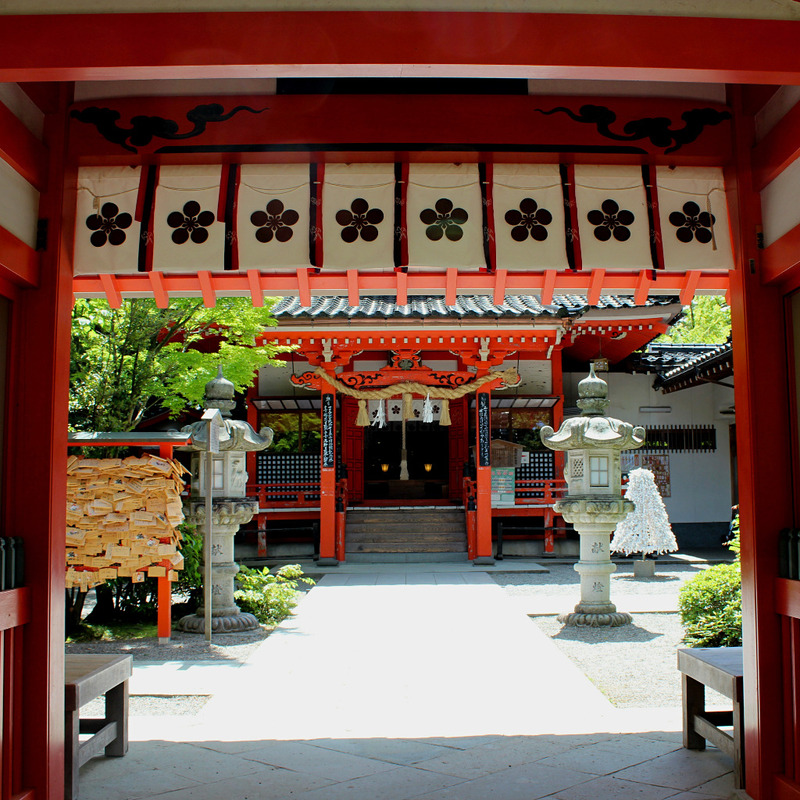 The shrine itself is small but brilliantly colored in a traditional red-orange vermilion and black. 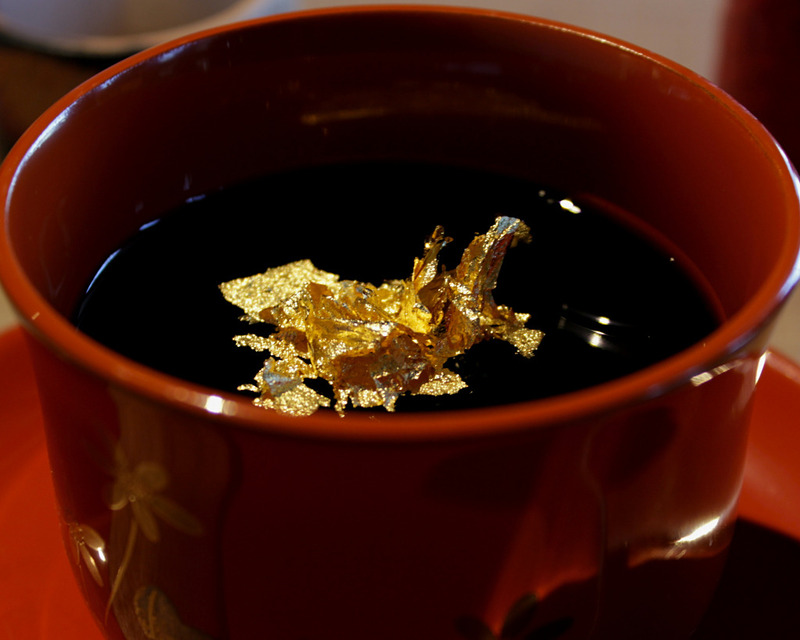 It originally honored the Sugawara family, the parent clan of the Maedas who ruled Kanazawa during the Edo era. 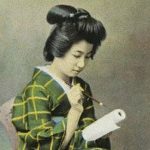 Only women of the castle were permitted to enter during certain times of the year before the shrine was eventually opened to the public. 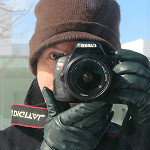 Within, gods of natural disaster relief, prosperous business, and safe travel reside. 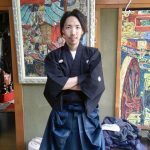 Additionally, a scholar and member of the Sugawara Clan is deified there as Tenjin. 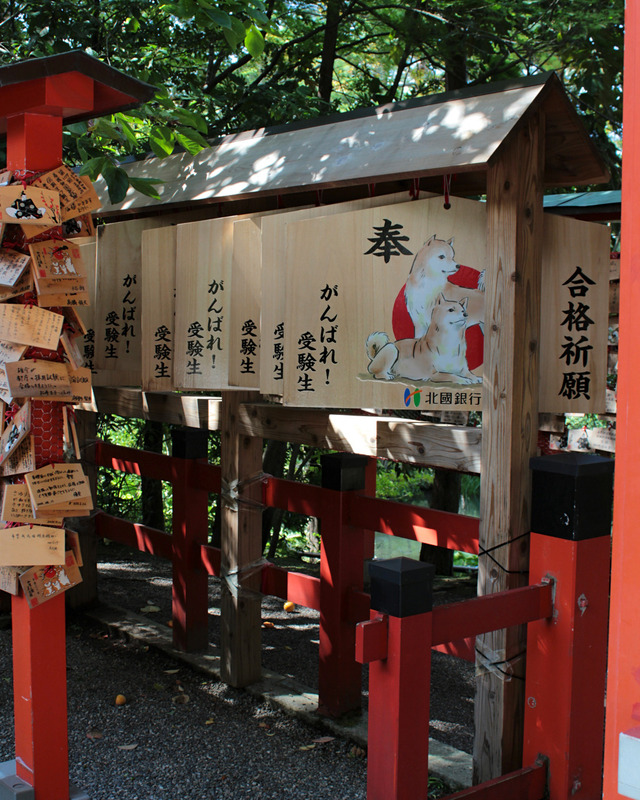 Because of his presence, Kanazawa Shrine is a frequent stop for students praying for success in academia. 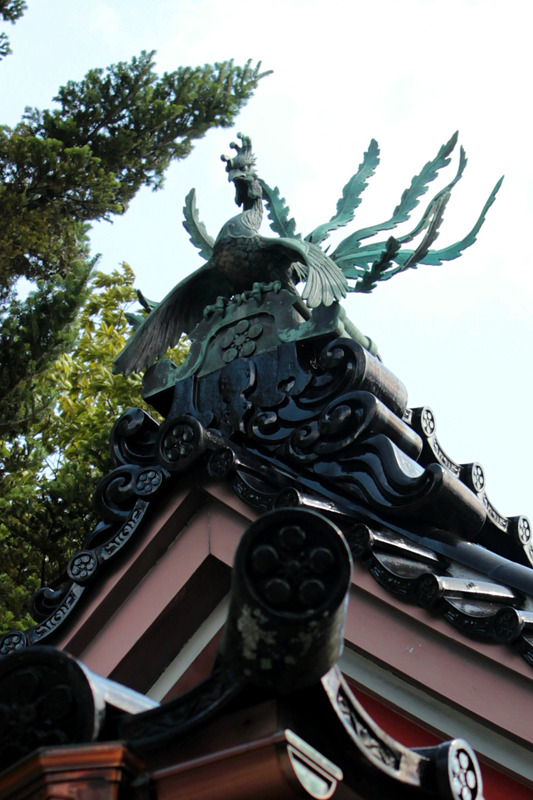 Along the grounds are several unusually designed lanterns, dragons and other statues. A phoenix oversees all visitors from its perch on the roof. 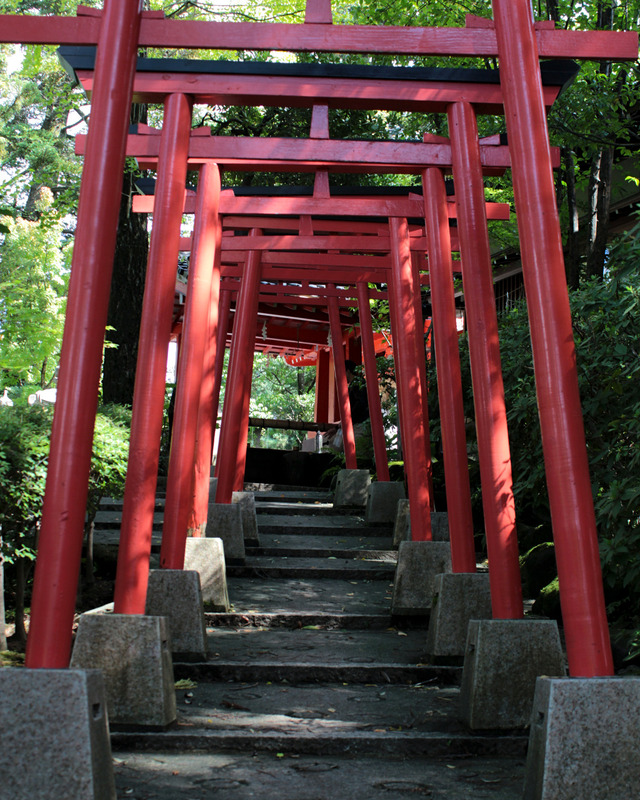 Eight vermilion torii gates lead down to the sacred well. 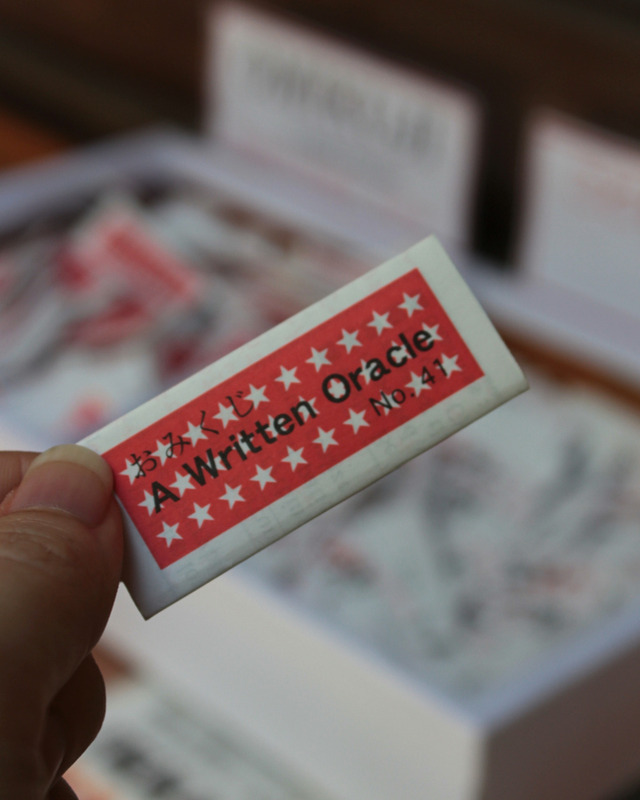 Kanazawa Shrine is one of the few shrines that offer New Year’s paper fortunes in English. 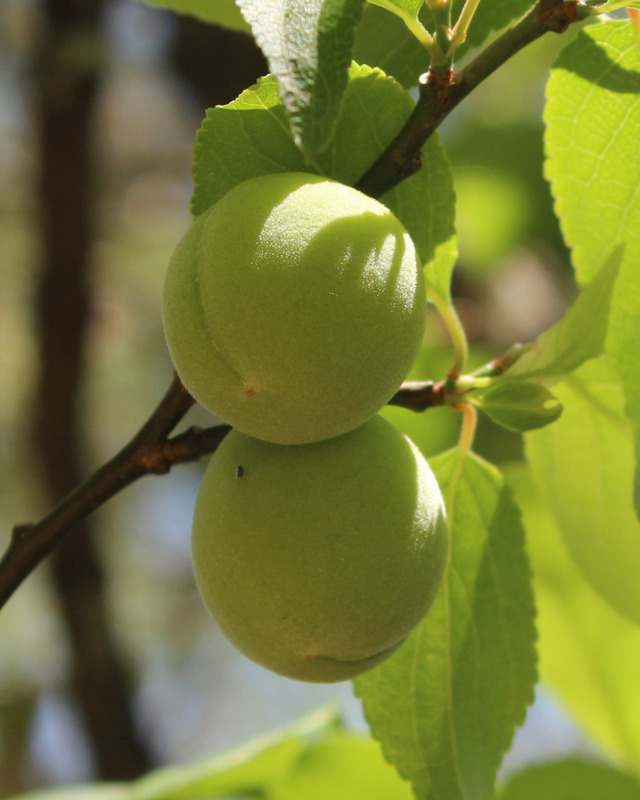 Young Chinese plums (apricots) begin to fruit alongside the shrine in early summer. 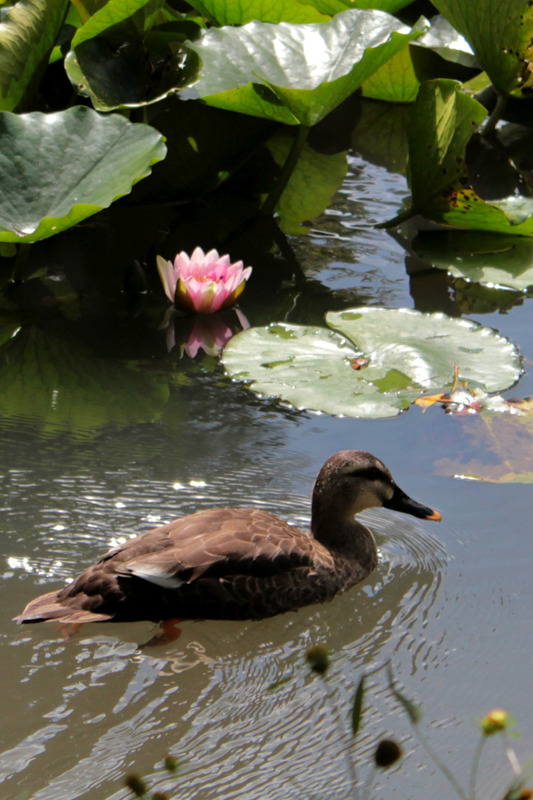 Spot-billed ducks and other birds occupy the garden and forested areas around Kanazawa Shrine. 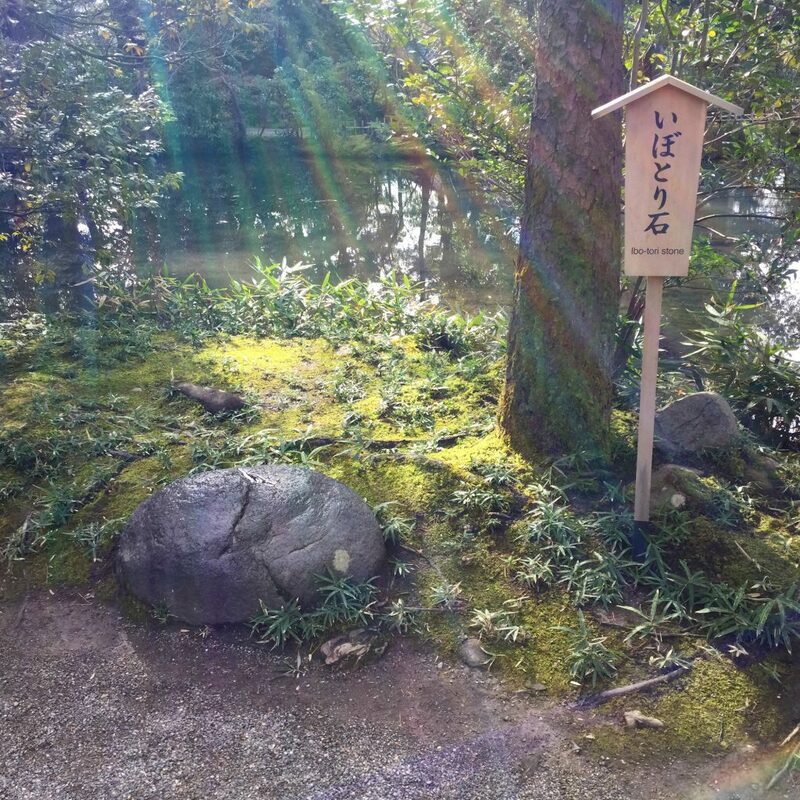 The second character of Kanazawa (金沢) is often imperfectly translated as “swamp” or “marsh”. 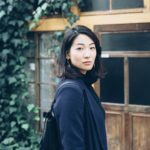 While it does refer to waters from the earth, other characters correlate better with these English terms. 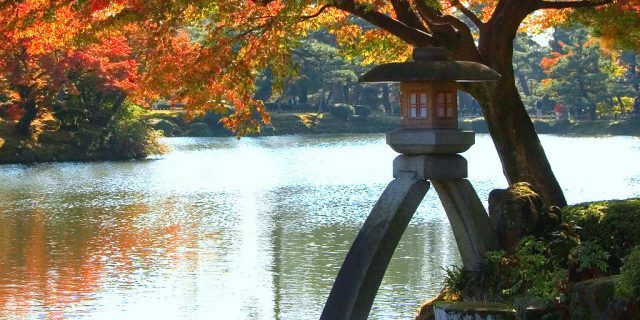 The particular character used for Kanazawa’s original written name, 金澤, can mean “lake” or “beneficence / blessing”.